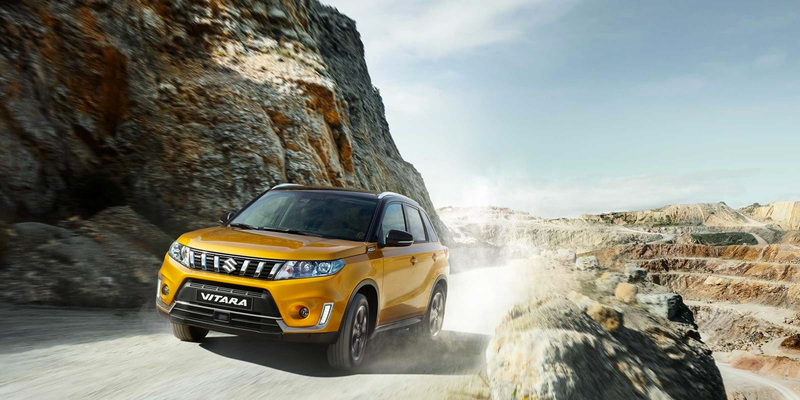 Its strong SUV style sets the new Suzuki Vitara apart from any other vehicle on the road. You’re spoilt with choice as models include the SZ4, SZ-T, and SZ5 which are sure to change your perception of driving. Prepare yourself for an adventure of a lifetime as this car offers a thrilling drive alongside some outstanding features. The new Suzuki Vitara, the robust off-roader is available now from Motorparks Suzuki and Invicta Motors Maidstone Suzuki. Take the reins on the roads with the Vitara’s Boosterjet turbocharged engine, designed for adventure. Don’t hesitate at unexpected weathers or terrains either, this vehicle is equipped for it all. The ALLGRIP 4-wheel drive system, which is available on selected grades, turns your vehicle into a superb off-roader if you’re wandering off the beaten track. Get your thrills on the road with the SUV-style Vitara. The bold curves and strong build of the model come together to bring you an exciting drive that you’ll want to show off. Choose from a selection of fun colours that complement the chrome front grille, creating a vehicle that’s sure to stand out from the rest. The slick LED running lights, chrome grill and squared bonnet create a car front that’s fierce yet fun. Although the vehicle is inspired by SUV styling, the compact elements of the car prevent it from feeling oversized.Choose from a range of single- and two-tone colours to complete the look. These aren’t standard hues either, with choices such as icy blue or cool grey to make your car the one to watch. The fun doesn’t end at the exterior either, get comfortable with the suede seat fabric as you take to the wheel on the open road. Enjoy technology assistance on your next journey too with hands-free phone connection, a smartphone link display and navigation system. Fancy some relaxation? Open the electronic panoramic sunroof and allow some fresh air to escalate as you slip into cruise control. Upgrade your vehicle to get the latest technologies and be the envy of other drivers. Once you reach a speed of 60km/h or faster, the lane departure warning function is activated. Through steering wheel vibrations and display signals, you’ll be alerted if you’re veering from the lane. For convenience, enjoy keyless entry and a rear parking camera which can assist you with parking up in any tricky spots. Make this vehicle your own with a range of single and two-tone colours that are sure to impress. You can also choose from a range of three grades which all boast their own superb features. Find out more about the adventurous Suzuki Vitara by visiting us at our Invicta Maidstone Suzuki dealership - part of the Motorparks family or enquire online today.